I am writing to you on my behalf of my husband, Kip Kerr. He is a wonderful and loving husband. Despite lifelong health issues, he isn’t a burden. Kip is a surgical technologist and has worked in surgery for 26 years. He has helped his surgical team as well as countless patients in his community. He has had seven pacemakers including lithium and nuclear. He feels The Lord has given him the gift to help others and strive to continue wanting to help others first. Despite his drive, he developed heart failure. These conditions have caused progressive deterioration in his health requiring a heart transplant. Even with insurance there are many uninsured expenses associated with transplantation, costly pre and post medications life long, temporary mechanical devices, and other unforeseen costs such and travel and temporary relocation to be near the transplant center. 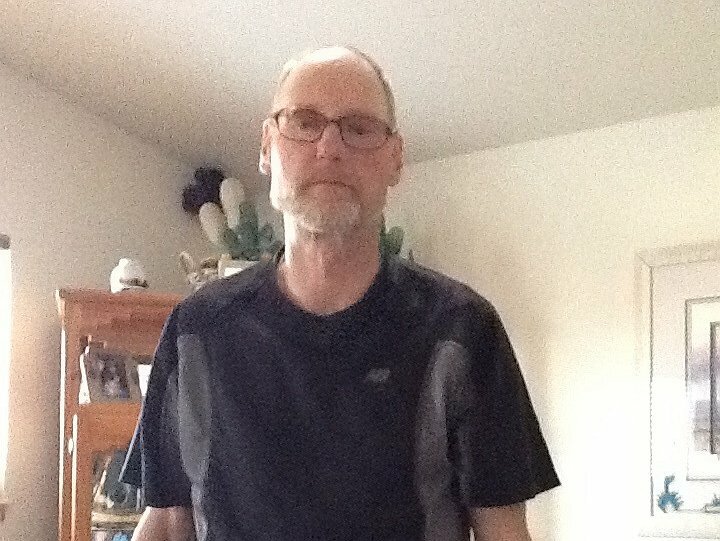 To help with his financial burden, a fund raising campaign in Kip’s honor has been established with HelpHOPELive, a non-profit organization that has been assisting the transplant community for 30 years .All donations are tax deductible and held by HelpHOPELive in the Midwest/West Region Heart Transplant Fund and are administrated by HelpHOPELive for transplant related expenses only. You can make a difference in Kip’s life. Please consider making a contribution. Most of you know that Kip had his heart transplant in Nov 2014. He went through lots of tests and a biopsy every month for the year 2015. Now that he is in recovery his medical insurance will double in 2016. We really need more financial help, so we r trying to raise more donations to help him out as his immunosuppresant drugs r very expensive. If you can help with a donation that would be awesome. And you can get a tax savings in December 2015, so please donate and God Bless. Update: kip is not going home after all. He has to have surgery again tomorrow. The bone in his chest is infected so they need to go in and clean it out and may have to cut some of the bone out, so surgery sometime tomorrow afternoon. Please pray for him. Update:Kip is still in the hospital, we my get to go home tomorrow so hope it won’t be icey roads. Kip is feeling a lot better.we thought he was getting a bisopy today but they said next week. We also would like to thank everyone for donating to help with Kip’s heart transplant. Will keep you updated. God Bless. Kip is in the hospital again. We came back on Tuesday morning and was admitted as he had to much fluid on his body he can’t get rid of. He also in some heart rejection. We r still here and hope we get to go back home soon. Thanks everyone for your prayers. We still need everyone to please donate in honor or Kip Kerr.for some R medical expenses. God Bless. Update: Kip came home this week. He is doing ok. He still has lots of fluid on his lower body and may take awhile to go away. We go back to Denver for his #5 heart biopsy, which shows rejection or not. All of the 4 biopsies have been good so far. It’s going to be a long year. He does have to take a lot of meds that r very expensive. We would like to thank every one who has donated and sent cards. It was a very long month stay in the hospital. The first 6 months will be hard as he can catch anything very easy so he has to be very careful. Thanks everyone & God Bless. Kip is still in the hospital. He was going home tomorrow but the doctor wants him to stay as he still has lots of fluid in his lower body that’s needs to be gone before he goes home, other than that he’s feeling ok. So keep praying for him. God Bless. Update: Kip had to have surgery again last night. He had a blood clot in the place where his pacemaker was and fluid around his heart and lungs so they had to open him up again to put drains in again. He is in ICU but he will be going back to the 3rd floor sometime today or tomorrow. Please keep praying for Kip to get better soon. Thanks and God Bless. Kip has had a set back. He has a lot of fluid in his body and around his heart. The Doctors took him to the cath lab but could not get in safely. Now he has to go back to surgery and open him up so they can get the fluid around the heart as it is putting pressure on his heart, so please be praying for him. Kip is still in the hospital. He’s has a lot of fluid in his body. They r giving him diuretics to try and get rid of it but it’s seems to be a slow process. He still doesn’t talk to loud from the intabator. Was hoping he would get to go home but that’s a know go for now. Thanks for all your prayers and phone calls. We will update later. Update:Kip hasn’t been feeling good today. He may have pneumonia. They will be doing a heart biopsy on his new heart today or tomorrow. Kip also had to have a feeding tube put in today at 3pm.its really hard seeing him have to go through all this, but I know he’ll be better in the long run. Please be praying for him to recover soon. Updateon Kip: kip had his heart transplant over the weekend he is in ICU. He was on breathing machine machine Sunday thru E Wednesday. They took him off today and he’s breathing on his own and talking some. He also has a low grade fever, but he is doing good at this time and still has to rest his heart. Thanks everyone for all your prayers. Also we still need your donations so please go to this website and donate in Honor of Kip Kerr. UPDATE: Kip is still on the ventilator,was hoping they could take him off but they still said they can’t but maybe tomorrow. He is still running a fever and they don’t know why. Please keep us in your prayers. thanks to everyone who has already donated. GOD BLESS. Kip is having a hard tim tonight which is Monday night. He tried pulling out all his tubes so they had to sedate him to calm him down. So please keep us in your prayers. Kip is in ICU Carido. He is still in and out as he’s on lots of meds naturally keeping him comfortable. Hopefuly he can get off the ventilator tomorrow. I’m staying here every night of course. If you want to send cards, put University of Colorado Hospital Kip Kerr in Cardio ICU room 223 Denver, CO. No flowers as they don’t allow them. Also please pray for us and our family. Also pray for the other family for their loss. Keeping you updated. Hi everyone, UPDATE Kip was called yesterday to get his heart transplant. He went to surgery at 5:15 Saturday evening. The surgery lasted until 1:30am this morning. The doctor said it went great and his heart they took out was very sick. His new heart is working great at this point. Kip will be on the ventilator for about 12 hours. Please keep us in your prayers and GOD BLESS. Will UPDATE later. Kip is still doin good for now. We go back to Denver this month. We r still waiting on the call. Thanks everyone for all your support and donations. Hi everyone,Kip was put higher on the list when we went to Denver 2 weeks ago. That’s good news as he has a better chance of them finding a heart. Thanks for everyone’s support. Kip is still doing ok. We need more donations to meet our goal & thank everyone who has helped.please keep us in your prayers. God Bless. Kip is doing fine so far. We go to Denver next month for his check-up. Please keep us in your prayers. Thanks for your donations. Please let your friends know we still need more donations. God Bless. Heh, how’s everyone doing. We r doing fine,nothing has changed. We r still wating to be called from the doctor. Hope we get called soon. It’s really hard waiting, but God will take care of us. I will keep you updated on any news and how Kip is doing. As of now he is feeling ok. Thanks for your prayers and support. hi everyone, we r still waiting for the phone call. Nothing has really changed at this time, but will keep you updated. Thanks for you prayers &support. Kip has been really tired today, so he took a nap, feeling a little better now. He will be seeing the doctor tomorrow. Please be praying for him. Thank you all for the support and prayers. God Bless. Hello, Kip is doing ok so far. He goes for is heart check-up Thursday . He gets tired during the day so he takes a nap now. Please pray for him. He knows The Lord will be watching over him. Will keep you up dated on him. Kip is still hanging in there.he will see his dr. this month. Still no phone call yet. Thanks everyone for donating. We still need more donations to reach our goal, so please take time to go to helphopelive.org and donate in Honor of Kip Kerr. Thanks for all your support. GOD BLESS. Kip is still waiting on the call. He is relaxing & watching the all star baseball game. He’ll be going back to Denver In August for his checkup. Kip is doing fine up to today. He goes back to Denver at the end of month. He goes once a month so far. Still doing ok now.we still need more donations. Thanks to all his supporters. Please, we still need more donation. We are still waiting for the call from the hospital. I hope that you can find it in your heart to donate in Honor of Kip. He’s a great person and loves life. We thank everyone who is donating to help him live. Thanks for all the people donating to try helping to save Kip’s life. He is a very special man and loves life and the outdoors. He also loves to help people when he can. Thank you so much and God Bless. Please keep the donations coming, we still have a long way to go.thanks everyone and May God Bless. We still can use more donations to help get Kip his heart transplant. Please go and donate today or any time. Thanks everyone who has donated and the ones who will be donating. Please support Kip’s transplant. God Bless. Nothing new yet still waiting. I want to thank each and everyone of you that are donating. Please tell your friends and family if they can to donate. Thank all of you again and God Bless. We still have a long way to go. I’ll keep in touch. Kip’s wife Riki. We are still praying for the phone call from the hospital for Kip’s Heart. It’s really nerve racking just waiting. We just have to wait till it’s time. Thanks for all the donations coming in. God Bless. Thanks to the people who have donated so far, but we still need more donations. Kip is doing fine so, it’s really nerve racking just waiting for the call on Kip’s heart. We still need the publics help In donating, so please tell everyone you know, if they could to donate $10.00 or more if possible. Thank you so very much. God Bless . We are still waiting for the call. It’s really hard waiting as you never know how long it will be.Thanks for the donations,please keep them coming as we have a long way to our goal. God bless. Thanks to everybody that are donating, keep them coming. Kip is still waiting for the phone call to receive his heart. Thanks for the donations that are coming in but we still need donations to keep coming. We are also waiting on his heart, hope it comes soon. God Bless. Thanks for the donations. Keep them coming. God bless you all. The phone # correction is 719-3306157. We really need every bodies help. We still have a long way to go. Thank you. So we have raised $50 dollars of the $20,000 we need to reach our gaol. Get the word out to your church and friends to help us reach the goal. We r still hopeful that we can raise the money to help Kip, we have faith it will happen as we trust in The Lord. No heart yet. Thanks everyone. everything is the same as of today.we’ll keep you updated. Sorry, that’s not a very good photo of Kip. You can go to his photo album to see a different photo. Thanks you everyone and please donate if you can. I am Kipps step son and I am asking anyone that can help please do! Please pass on to your friends and members of your Church! Oh, Kip, so sorry to hear this news. You will be in my prayers daily - hang in there. Hang in there Kip, if you have not seen the movie, " Return to me." Do, it's a great movie about a woman who had a heart transplant, has some great actors in it, very warm and encouraging movie.